Welcome to our portfolio page. Here you will find some examples of our work, including pictures and resumé of our client's brief. 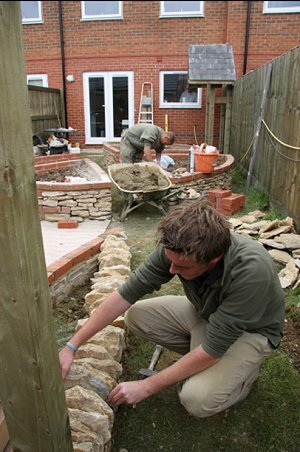 Each description also includes a commentary of how we overcame challenges associated with each design, plus the finishing touches that really make the difference in any garden makeover. If you have any questions about any of our projects, or would like to see copies of our original designs or details of our other projects, please do not hesitate to contact us. 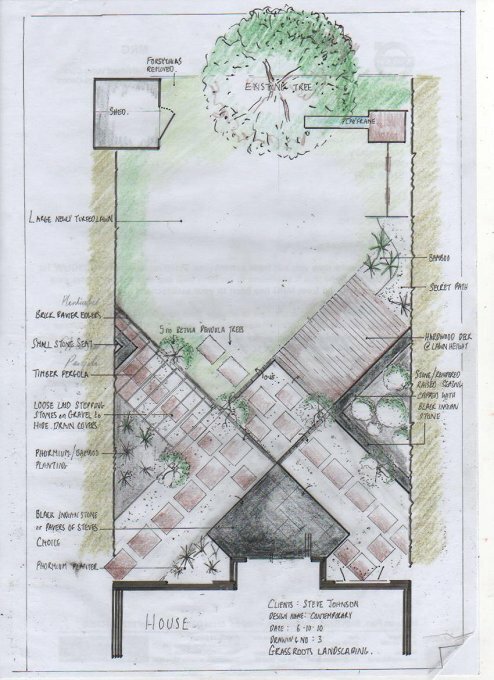 To design a great garden, we need to start with some great plans. A detailed survey of your property together with some visual images and a thorough examination of your wishes are the tools needed to put together the plan. Some clients like put a ceiling on the design expenditure, wanting simple sketches to ascertain their design style choices. Others want varying outcomes before they make up their minds. Curvilinear, rectilinear, evergreen, deciduous, and therefore are prepared to spend more to justify the result. Design drawings are vital to both the constructor and the client as from it, accurate costings can be calculated and thus options are available for scope changes to suit target budgets. 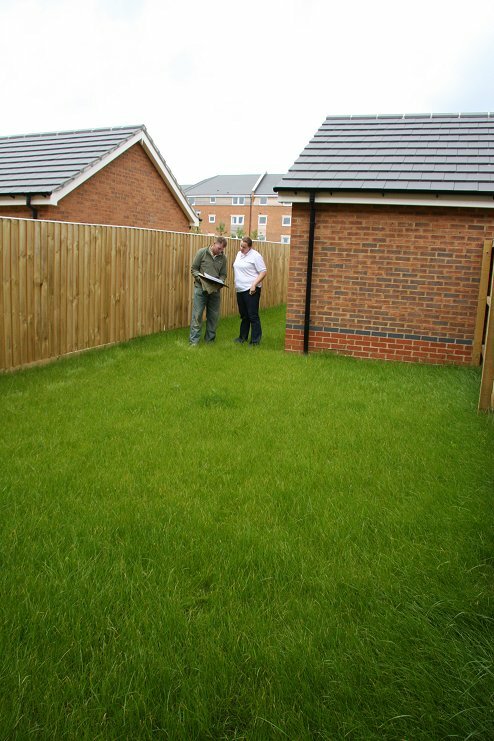 Here one of our designers is discussing the drawn up plans to the expectant client. Usually, the clients find it hard to envisage their dull space ever becoming the dream scenario that the designer has created on paper. After mud sweat and tears, the dream appears! 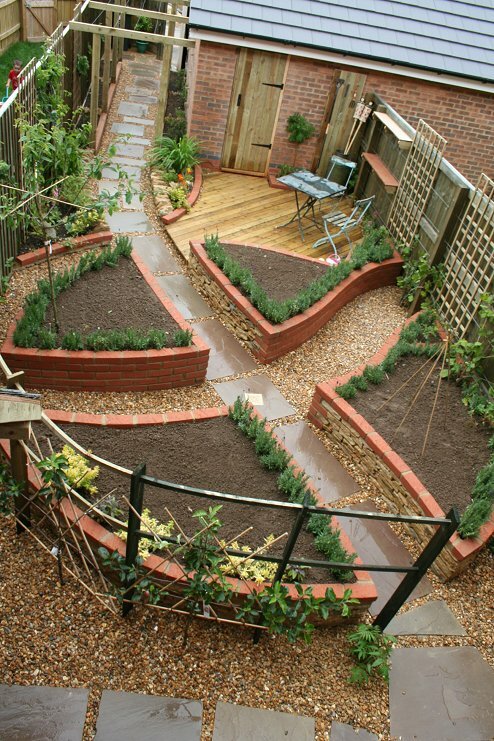 This garden, an allotment styled theme was an idea muted by the clients who could not wait any longer for an allotment garden. Every plant in the garden is edible!